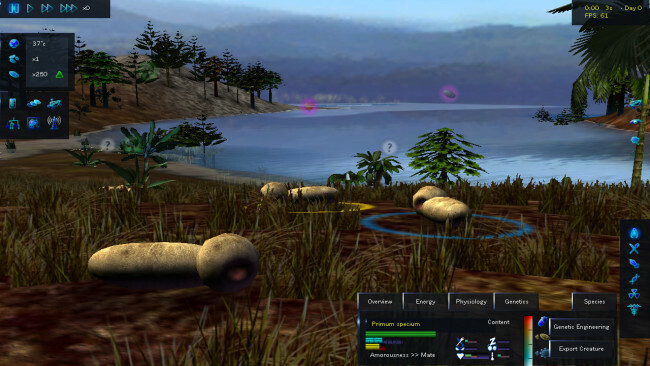 Species: Artificial Life Real Evolution is an evolution simulator that allows you to create, destroy, observe and tinker with life on it’s never ending, harsh march of refinement! Simulated from the very first principles of evolutionary science:Variation. Every creature is uniquely defined by its genes. Whether you just want to observe, watch and study as the tree of life constructs itself from a single species, or you want to be an active influence on the development of the species in the game, the choice is up to you! Take a hands-on approach by using the nursery, an isolated area where you can tinker with the gene pool to your heart’s content. 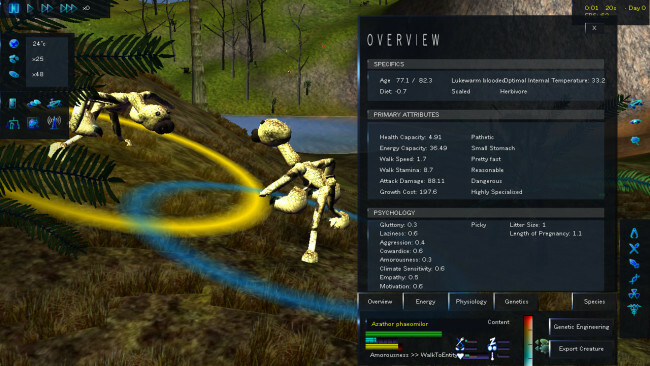 Use rovers to decide which creatures get to eat today and which ones starve! Create global catastrophes like an ice-age or a world-spanning flood to weed out the most vulnerable species. Or simply sit back and watch the life-and-death saga unfold! Once Species: Artificial Life, Real Evolution is done downloading, right click the .zip file and click on “Extract to Species.ALRE.v0.12.0.5.zip” (To do this you must have WinRAR, which you can get here). Double click inside the Species: Artificial Life, Real Evolution folder and run the exe application. 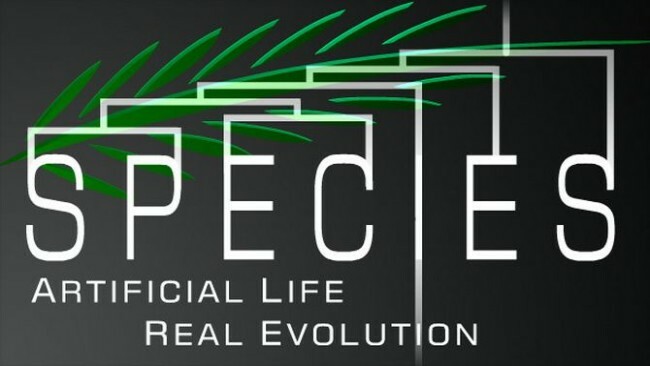 Click the download button below to start Species: Artificial Life, Real Evolution Free Download with direct link. It is the full version of the game. Don’t forget to run the game as administrator.